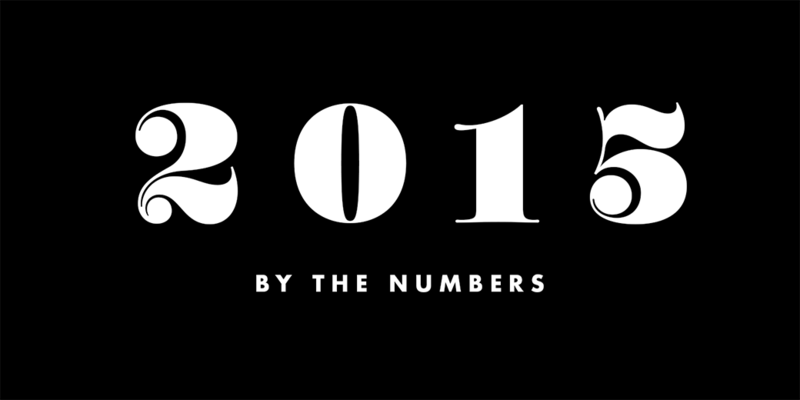 This was a giant year for our little team. We are twenty-two humans, four hermit crabs (Zeus, Hercules, Hermes, and Achilles), two dogs, a bearded dragon, and one snake (Tiny). 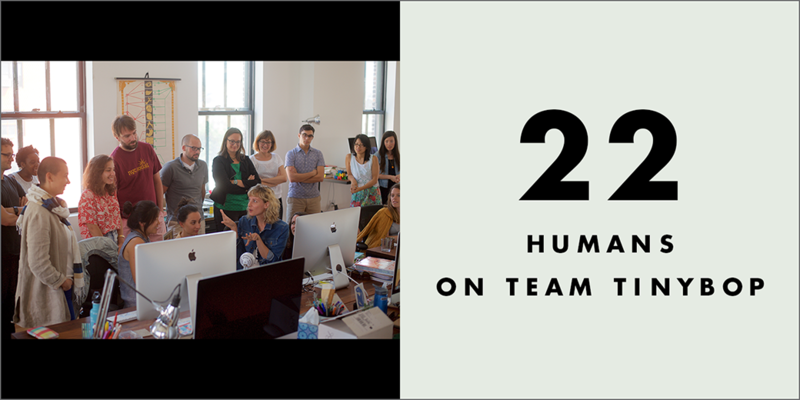 Eighteen of us live in Brooklyn, two in Tokyo, one in the UK, and one in Colorado. 64% of us are women. We speak Chinese, English, German, Japanese, Russian, Spanish, and a little Arabic and Korean. But we’ll let our apps do the talking for us: they’re available in up to 60 languages and downloaded in 155 countries around the world. We released five new apps this year — The Robot Factory, Simple Machines, The Everything Machine, The Earth, and The Monsters — (that makes eight Tinybop apps all together with many more to come!). 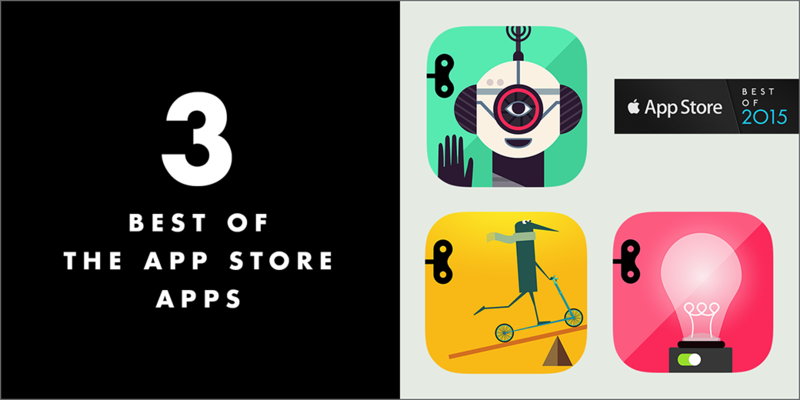 Three of those apps were App Store Best of 2015 around the world: The Robot Factory, The Everything Machine, and Simple Machines. We snagged three Parents’ Choice Gold Awards, two Children’s Technology Review Editor’s Choice Awards, and two AIGA Cased awards. 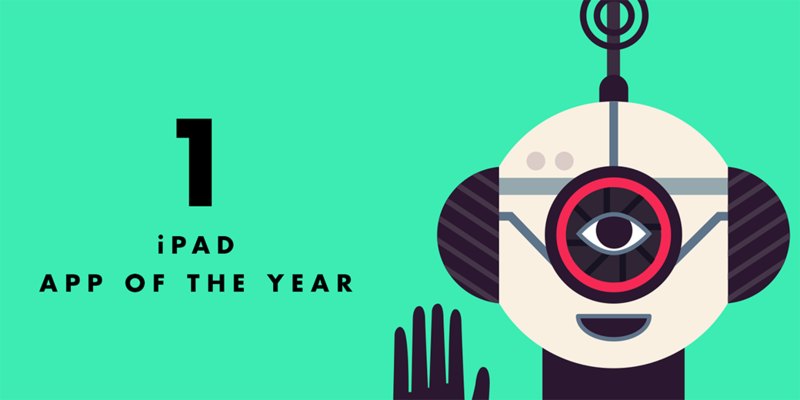 The Robot Factory was the iPad App of the Year. Owen Davey drew 100 robot parts for kids to build with in The Robot Factory. Every robot arm and leg uses three or four programmatic “hints” to know how to locomote. Our sound engineer created 1,469 (and counting) sounds files for all our apps (Brian has a Theremin in his studio but hasn’t used it for an app sound, yet…). Sarah drew one 32-foot long Photoshop file of the landscape for The Earth. 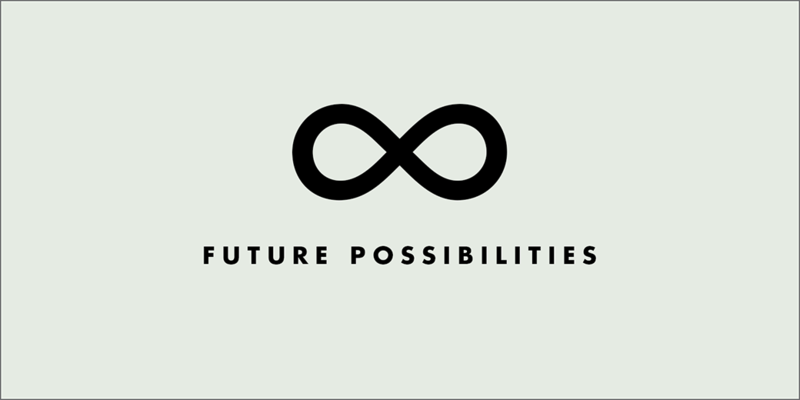 But every app we make is just a beginning. They have lives all their own once they get into kids’ hands. 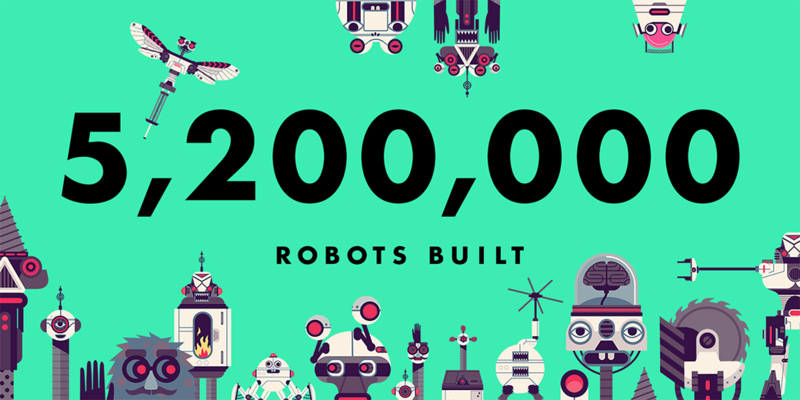 In The Robot Factory, kids have built more than 5.2 million robots, so far. 120,000 new machines have been invented in The Everything Machine. In Simple Machines, kids launched spaceships with four pulleys and sent satellites into orbit with just three. Kids made 1.6 million trips around the world in Homes. 1.2 million volcanic eruptions rocked The Earth. 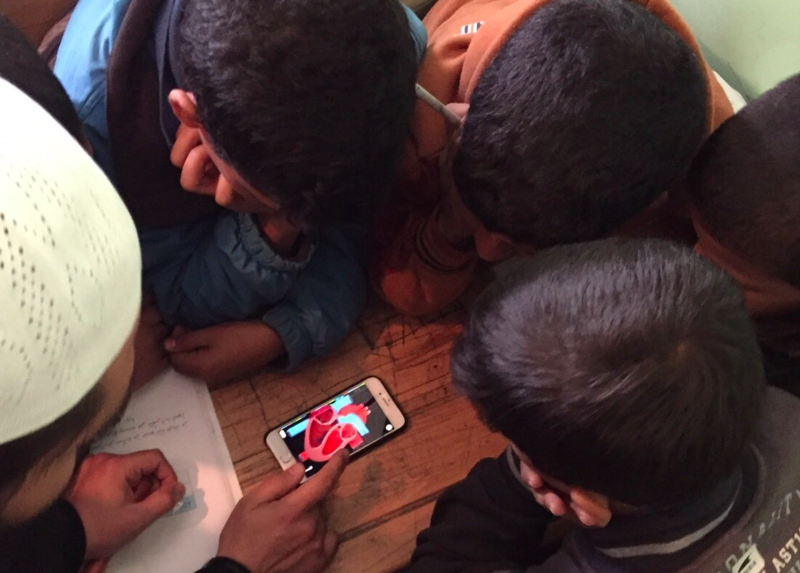 At least 75,000 of our apps were used in schools around the world. Students at Salbod primary school in Amman, Jordan, shared a note of thanks and photos of The Human Body at work in their classroom. Jodie Deinhammer, a science teacher in Coppell, Texas, used The Human Body Lite app to show her class how the human heart works. If you’re an educator looking for a way to get our apps into your classroom, we launched a program for that! Apps for Impact brings apps to teachers in Title 1 communities and other underserved areas. 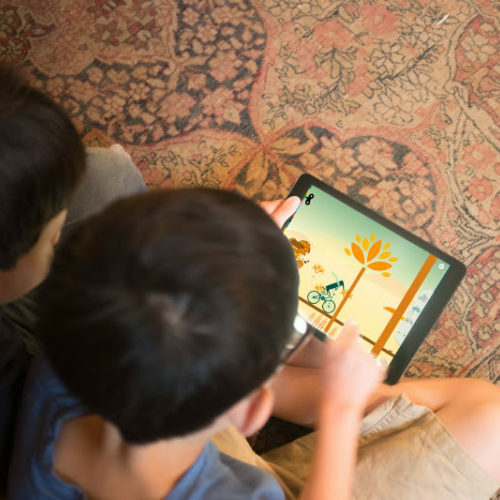 Other participating app makers include Hopscotch, Montessorium, DIY, MotionMath, and DragonBox. Visit the site and sign up for more information about free apps. Lastly, we added a brand-new wee one to the team: Ada was born to our Head of Product, Youngna, and her husband Jacob, on November 8th. Welcome to the world sweet girl! Here is hoping this next year is full of more beginnings.